The Philippines were dealt a card that took away a key aspect of their home court advantage as part of the sanctions that came after the fallout of the brawl against Australia. The Filipinos were forced to play a game without a boisterous home crowd urging them on. On Monday evening, the Philippines faced Qatar in fourth window of the 2019 FIBA World Cup Asian Qualifiers at the empty cavernous Araneta Coliseum. For the hosts, it was a must-win game in order to maintain distance against Japan in Group F of the qualifiers. A loss would have meant that the Japanese would draw level with the Filipinos in the win-loss column. The Big Dome has a seating capacity of 22,000, but during the Philippines-Qatar game there were only 220 people in attendance. 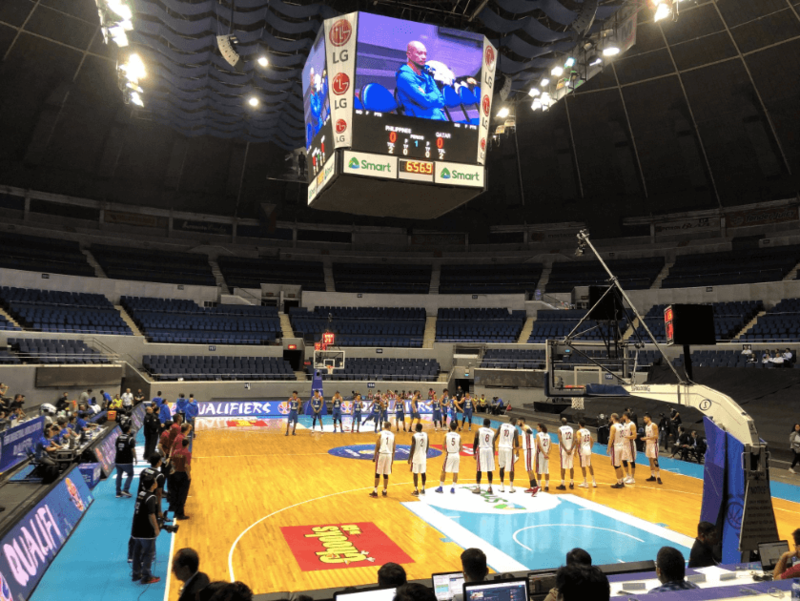 The breakdown of the people in the venue was 60 from both the Qatar and Philippines’ players and personnel, 30 FIBA members, 80 from the media, and 50 VIPs. Included amongst the VIPs were former national team coaches Chot Reyes and Tab Baldwin, as well as long time national team patron Manny Pangilinan. 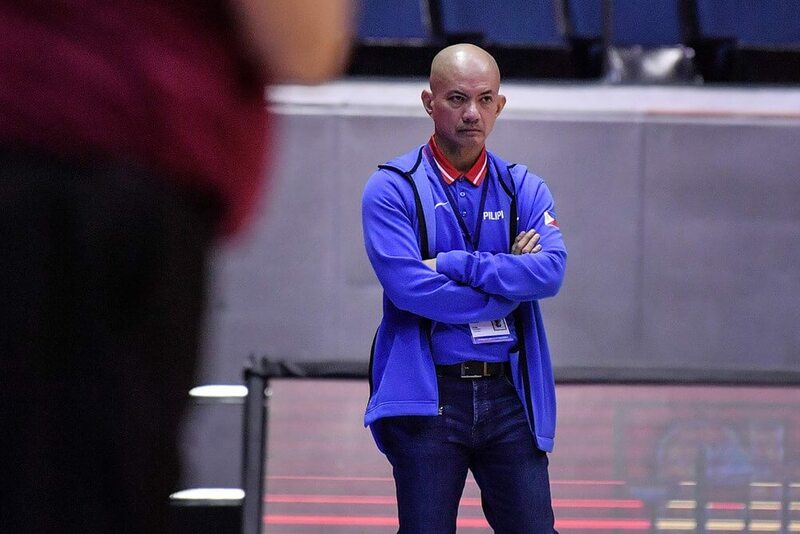 Philippine head coach Yeng Guiao admitted that it was a strange environment to play such a crucial game in and that it affected the way they played. Even Tim Lewis, Guiao’s counterpart on the Qatar bench believes that the empty venue contributed to the Filipinos sluggish start in the first half. Flat is probably the right word to describe the Philippines’ opening half against Qatar, after they shot a dismal 1/15 from beyond the arc in the first two quarters. While it is tough to tell how much of a factor the environment in the Filipinos’ poor shooting, it was difficult to look beyond the lack of noise that a crowd would bring. “Parang 2K lang pala, pag tinaas mo yung ‘in-game chatter’ sa options,” a member of the press said during the game. Throughout all four quarters you could hear all the players reminding each other of their defensive assignments, the bench cheering on their teammates, and even the coaches barking out instructions. Guiao even mentioned that he could even hear Lewis give out his orders on the other bench. Behind the Philippine bench, national team pool members Greg Slaughter, Allein Maliksi, Christian Standhardinger, and Raymond Almazan played the role of the home crowd. From the press area, you could hear some of the aforementioned pool members hurl boos at the Qatari players as they took their free throws. Even arena barker Noel Zarate concurred that it was a weird environment to work in, but says he did his best to give the contest a home game atmosphere. Zarate added that at one point, he even feared that the speakers would break after an energetic call to a play. It was a novelty experience in such an important game for the Philippines, one that the team hopes they don’t have to repeat again. Luckily for the Philippines, barring any more sanctions from FIBA, they won’t play in an empty venue at home for the rest of the qualifiers. The Philippines will continue their quest to qualify for the World Cup in the next international window on November 30 and December 3 against Kazakhstan and Iran, respectively. Both those games will be played in yet to be announced venues in the Philippines.